Seeing Lakey Peak for the first time was a sight that will never be forgotten. 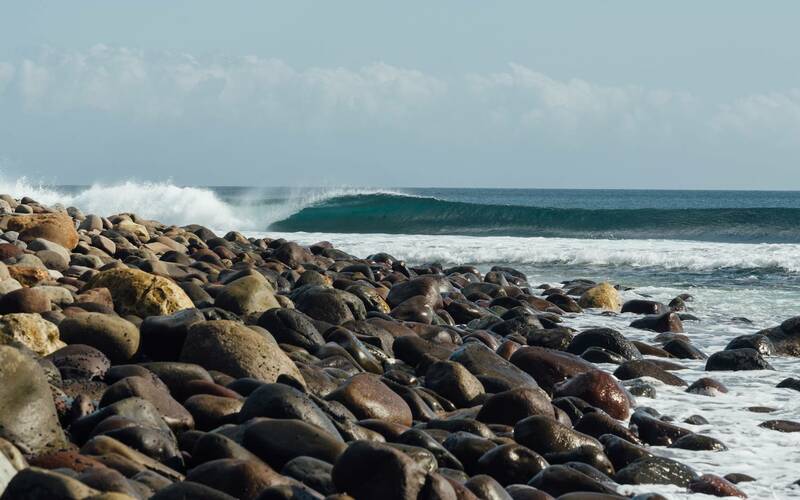 Perfection split between a peeling left and right, something that every surfer dreams of. The classic Lakey Peak shot. We had just traveled 8 hours by car from West Sumbawa, through bustling villages filled with locals celebrating the end of Ramadan. This was our first time in Sumbawa, and the people who we spoke with said the towns were normally much quieter the rest of the year. Every town we drove through had bumper to bumper traffic, and the roads were packed with people celebrating the end of an entire month of fasting. Lucky for us, towns were few and far between. For a group of amping surfers, there is nothing worse than encountering delays on your way to scoring surf. Although the traffic was a burden, we were fascinated by the celebrations and enjoyed seeing this aspect of the local culture. We were on our way back from an eight-day stay in West Sumbawa, where we dealt with consistently fickle surf, yet managed to find some hidden gems that made it worthwhile. We were overly anxious surfers who had traveled 3 days around the world to chase swells that seemed to be taunting us, so “wave hungry” was a huge understatement. However, arriving in Lakey Peak and being face to face with such a wave rich region was overwhelmingly refreshing. It was officially on. With a week of proper swell on the horizon, the three of us were finally about to enjoy what Indonesia is known for during peak season. 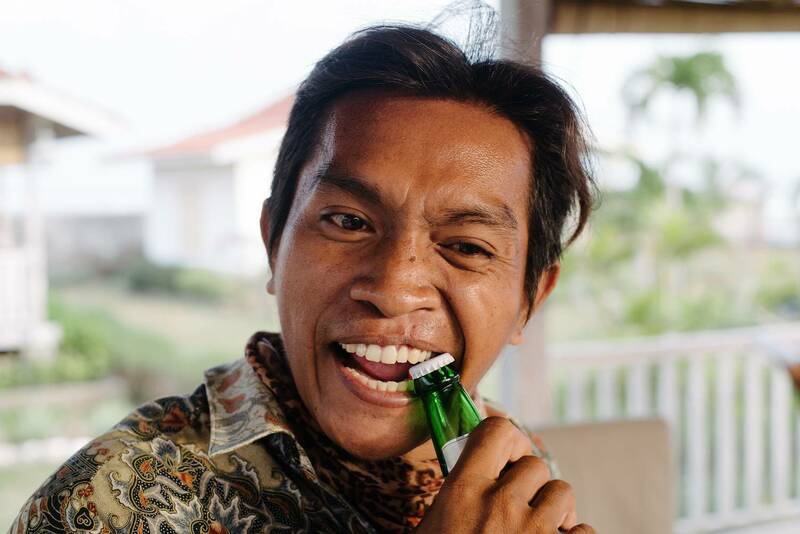 Throughout our stay in Bali and West Sumbawa, we encountered numerous travelers who shared unnerving stories as they warned us of rampant crime throughout the region. When we arrived in Lakey, it was an understatement to say we all on edge. It didn’t take us long to learn that the opposite of what we heard was true. 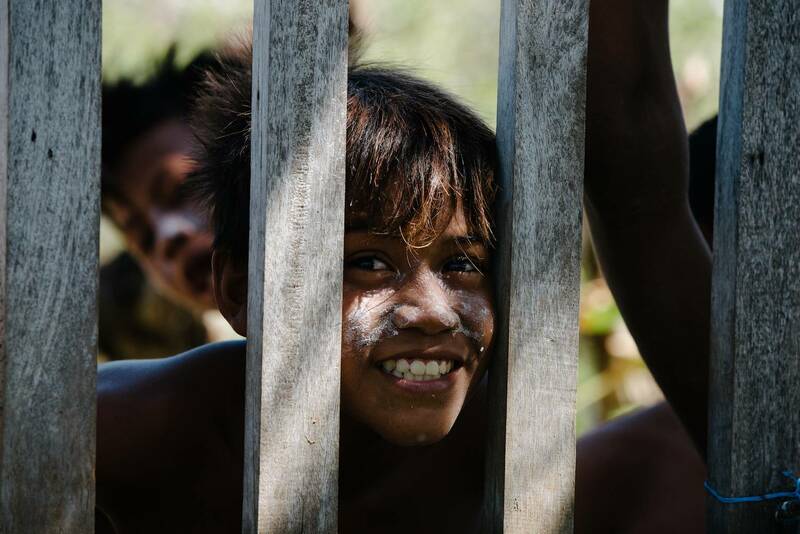 The locals were some of the nicest we had encountered during our time in Indonesia! Families invited us into their homes to share food in exchange for stories of where we were coming from and where we were going. On multiple occasions, local kids would ask if we wanted to play games with them or come to join them for a surf, an offer that we would always take them up on. We were fortunate enough to be taken in by the most welcoming folks at the Mambo Surf Lodge. Mambo is a small accommodation of three individual villas on an oceanfront property only minutes away from a variety of world class surf spots. With a full-time staff who go above and beyond to make sure any and all of our desires were met, we got a very personal experience unmatched by the surrounding homestays and surf accommodations. One of our favorite aspects of Mambo was the ability to plan out each of our meals every day. We gave them a list of ingredients and they would pick up everything from the market. With myself being a vegetarian, it can sometimes be difficult for hosts to accommodate to my special requests. This was no issue at Mambo lodge as they were more than willing to cater to our needs and provide us with whatever it was we wanted to eat. They prepared meals for us before and after each surf session, and always loved to hear about our daily adventures. "Where to stay in Lakey Peak?" Find out more about Mambo Surf Lodge. Being three guys from California means we don’t always have year-round access to heavy, pumping surf. 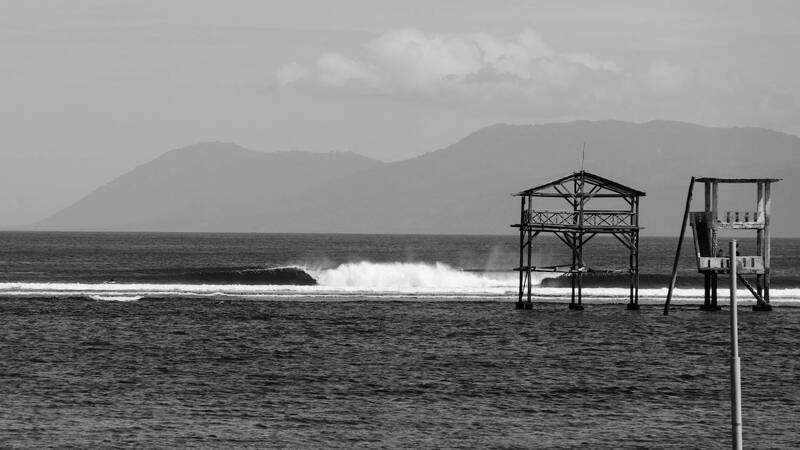 One unique aspect of this region in Sumbawa is the variety of waves you have on tap. If you aren’t a hell-man charger like many of the waves in Indonesia require you to be, this is a perfect place to find what you are looking for. With mellow right-handers, a punchy yet forgiving left-hander, and of course numerous classic Indonesian-style barreling waves, we found everything we were looking for and more, all requiring a scooter ride no longer than a 30 minute. I couldn’t believe my eyes many days, as we would check Lakey Peak and find a crowd of 15-20 people, then drive 5 minutes down the road and find a completely different, perfect wave with only 2 or 3 people surfing. For two days we experienced solid swell that made a few spots really show what they are made of. On one of these days, as the swell was sending heavy overhead barrels down the reef, Austin, our photographer ended up getting caught on the inside section of a wave that basically dumps onto dry reef before dragging you out into the channel. We immediately noticed that he was in a bad spot on the reef but didn’t realize how bad the situation actually was. We immediately noticed that he was in a bad spot on the reef but didn’t realize how bad the situation actually was. Right before things got heavy. Read also, "Komang, Why do you take such small barrels? Lakey showing its teeth"
The first wave that caught him on the inside actually tore his fins off his feet and even ripped the fin tethers off his legs. As he was getting tumbled across the reef with a bulky warehousing in-hand, the only other nearby surfer in the lineup swam to his aid and helped him get to the channel. When one of our crew got to him, he tried to help him swim against the current in the channel to get back to shore. However, the current was so strong that they both ended up getting recycled back outside and nearly dragged down into the lineup of a different wave before they found a break in the current and were able to reach the shore. And we found what we looked for. It is rare to find such a raw landscape like this anywhere in the world, and with plenty of surf options at your fingertips, this is truly a worthwhile stop during your next surf trip. In addition, finding a surf lodge like Mambo that takes such great care of your group, makes this one of those places that are difficult to get yourself to leave, and will leave an impression on you that lasts a lifetime. Made up of surfers, photographers, film-makers and writers. Indo Surf Crew creates surf content in Indonesia while raising awareness on how to protect Indonesian beautiful surf playground and culture. 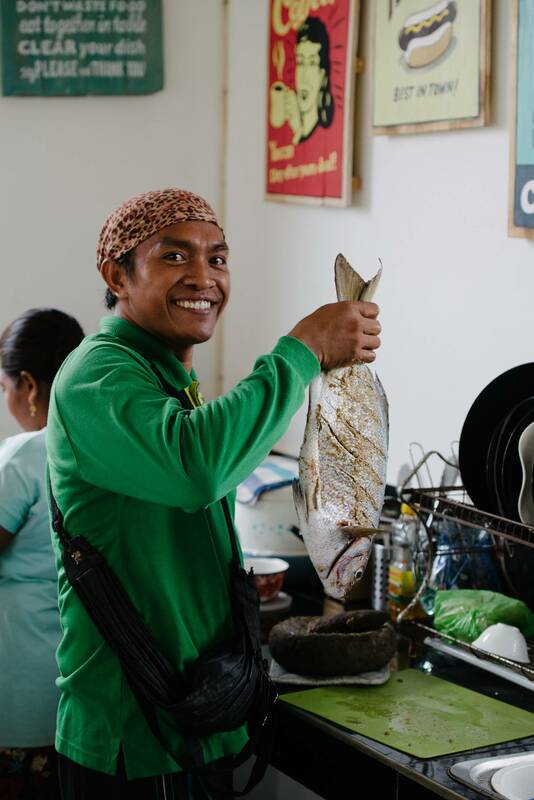 Our aim is to give a voice to the local Indonesian surf communities, its surfers, and organisations with sustainable eco project that will help preserve the authenticity of Indonesian surf spots. The Truth About Surfing Nias. Paradise or Disaster? How is it like running a Surf Charter in the Mentawais? Sibon Explorer’s Owner Tells his Story. 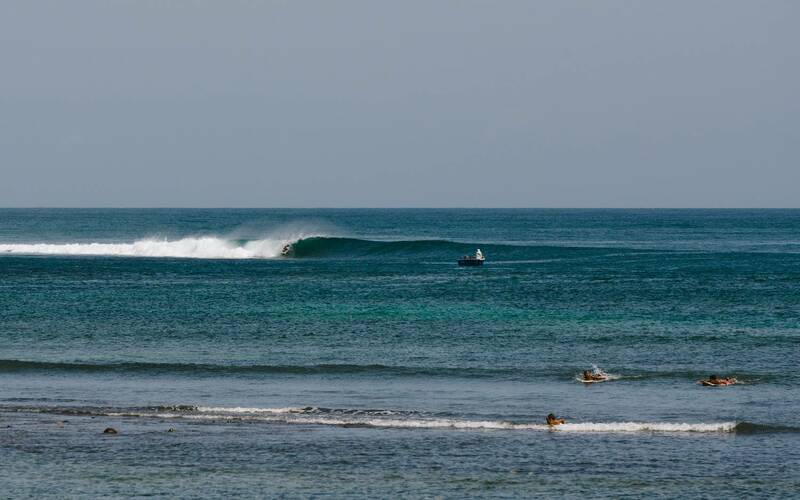 Everything about Surfing Indonesia Consciously - Last minute deals and more! Surfing Mentawais – Where to Stay? When to go? What to pack?